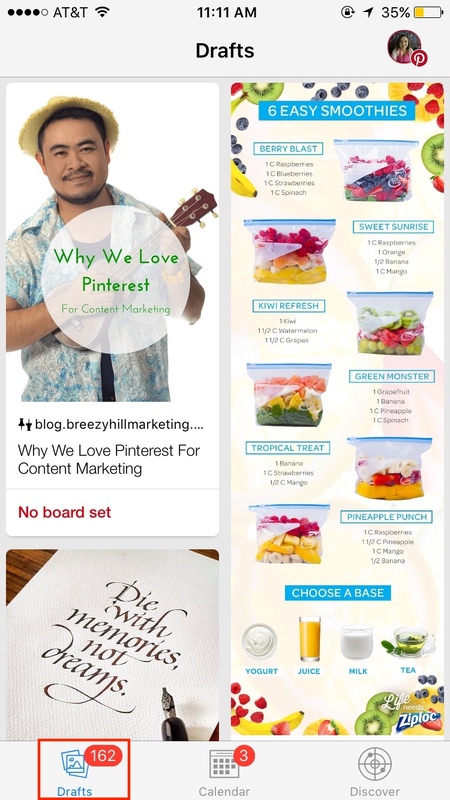 Need to quickly update your Pinterest Boards in Tailwind's Mobile iOS App? This page will show you how. 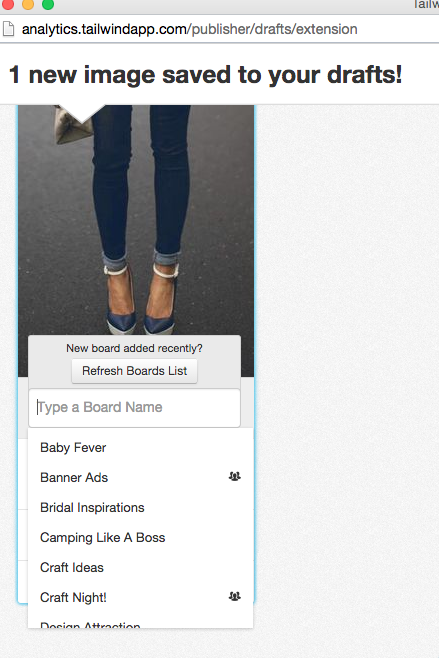 Refreshing your boards in the Webapp is pretty easy, and we also do it for you automatically every 24 hours. However, getting those same updates to the Tailwind Mobile iOS App is a little bit harder, and requires a few more manual steps to see the same changes. Essentially, we're forcing a refresh on Desktop first and then forcing another refresh in the Mobile app to apply the changes. In your Desktop browser, go to your Drafts Page (located in the pop-out menu in the left hand navigation). 2. 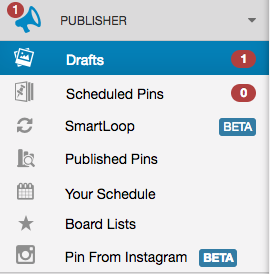 Draft a Pin, click in the "Type a Board Name" box, wait 5 seconds and click the pop up, "Refresh Boards List" button to Refresh boards on the webapp. 3. Close and Restart the Tailwind Mobile iOS App. 4. Go to the "Drafts" Screen in the Mobile iOS App. 5. 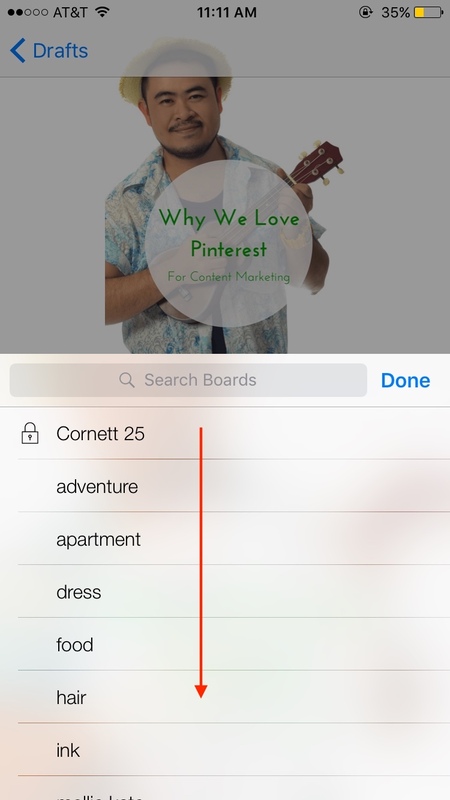 Draft a Pin, and tap in the "Select a Board" space to bring up the list of boards. 6. Long-press (tap+hold) and pull down until a spinning circle comes up to Refresh Boards on the mobile app. 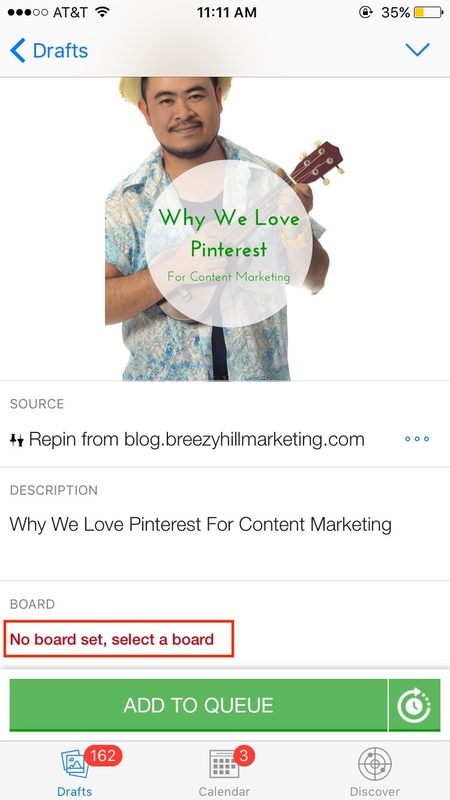 Helpful Tip: This method works best within the app on the Drafts screen instead of using the saved bookmarklet in the Pinterest or Safari apps.